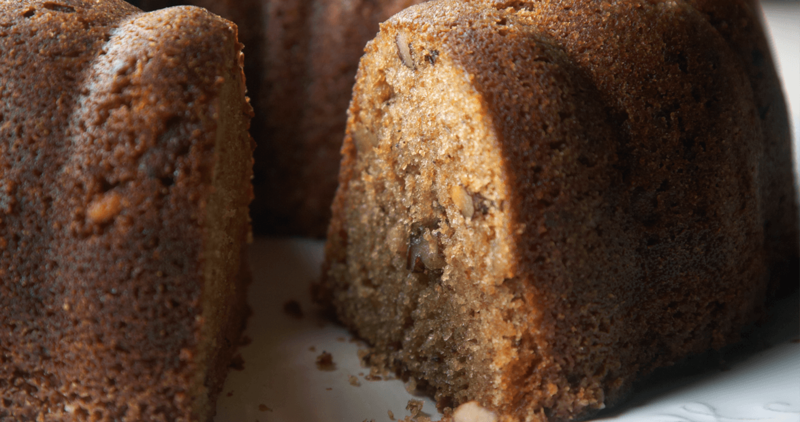 Enjoy your figs at the dessert table this holiday season with a slice of this decadent cake. Preheat oven to 325°. Grease and flour a 10-inch tube pan. In a large bowl, cream together sugar, eggs, and oil. Stir in vanilla. In a small bowl, sift together the flour, salt, soda, and spices. Alternately add dry ingredients with buttermilk to egg mixture, mixing well. Beat in fig preserves, nuts, and whiskey. Pour into the prepared pan, and bake for about one hour, or until an inserted toothpick comes out clean. Cool on a rack, then remove from pan. Serve warm.